The sport of track and field is raw athleticism at its finest! It's all about who can run the fastest, jump the highest and throw the furthest. There's always a record to beat, but a track athlete's biggest competitor is the limitation he puts on himself. If you can push harder, train longer and keep your eyes on that finish line...you just might find the will to win! 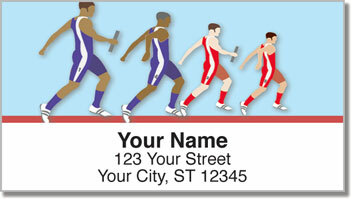 Track Star Address Labels from CheckAdvantage feature four original illustrations of runners and jumpers. They're a great pick if you love the summer Olympic Games or if you're a track star yourself! 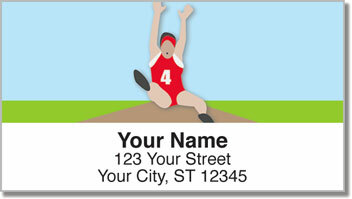 Use these convenient labels to cut back on the time it takes to prepare your outgoing mail. 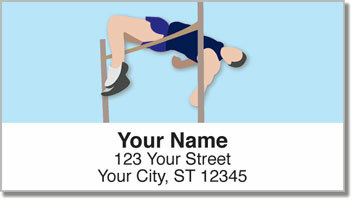 The handy self-adhesive backing on this product might even help you set a world record! 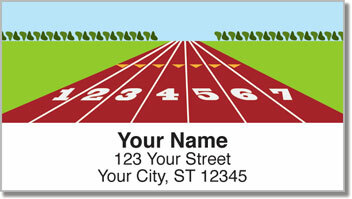 Get your own Track Star Address Labels now! Complete your order with matching checks.